Dr. Rosenthal’s guiding touch showcases your beauty in a manner that is faultlessly natural. Dr. Jeffrey S. Rosenthal is Former, Chief of Plastic Surgery, at Bridgeport Hospital and in private practice since 1985. He has been voted “Best Plastic Surgeon in Fairfield County” numerous times and was recently named a Top Plastic Surgeon within the state of Connecticut and awarded Top Surgeon Recognition in America. Additionally Dr. Rosenthal is academically acclaimed being the Chairperson for a national medical book review service. His reviews of plastic surgery texts and writing reach 300,000 subscribers and medical librarians in this country and abroad. Dr. Rosenthal, with offices in Fairfield and Greenwich, Connecticut, views “Surgery as Art”. As an acclaimed plastic surgeon and an Artist with Exhibits in France, New York and Connecticut, he is able to seamlessly fuse his experience and creativity to provide each patient a natural and vibrant appearance. Each thread Dr. Rosenthal places is crucial; each move of his hand to sculpt a face, nose, lids or body is precise and part of the melding of science and art. Dr. Rosenthal’s patients know that he never rushes to finish a surgery as “every surgery is a piece of art”. “I have used my artistry to enhance all that I touch. My objective is to bring a smile to each patient’s face. It is important to listen to their personal desires so that I can release both their inner sparkle and outer beauty”. All personalized to meet your needs, many of his cosmetic surgery techniques for facelifts, eyelid and brow lifts, nose, ear reconstruction, lipo-contouring, breast and abdominal surgeries have been devised and refined though his meticulous attention to detail and his single-minded passion that his specialty requires. His “Rosenthal Liquid Facelift,” sculpts the cheeks and face with Radiesse, Juvéderm, Expression and Botox, yielding a beautifully enhanced facial appearance. 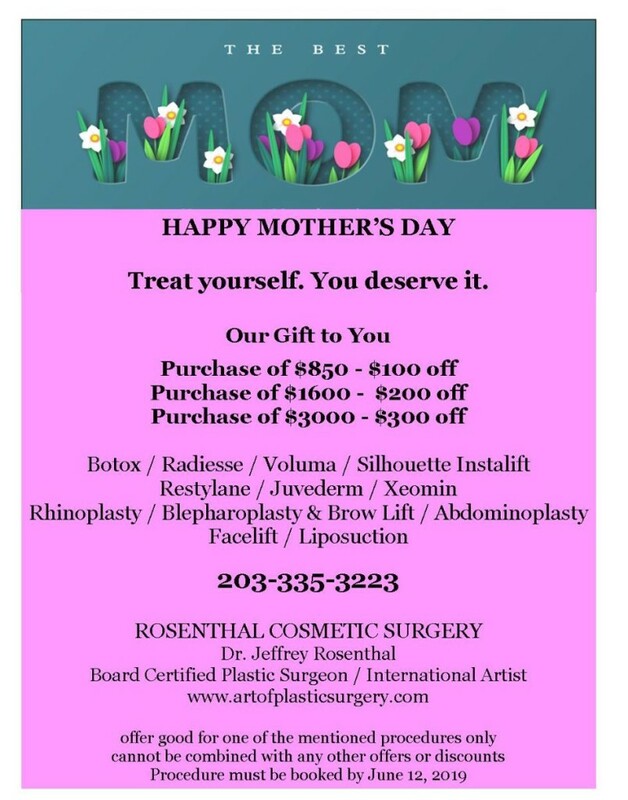 You have a Unique Opportunity to share in Dr. Rosenthal’s Expertise “Art of Cosmetic Surgery” commencing with a consultation.